Jared Halley is a talented LDS musician who recently released a new music video on his YouTube channel that showcases his a capella skills in an arrangement of Elton John’s hits. 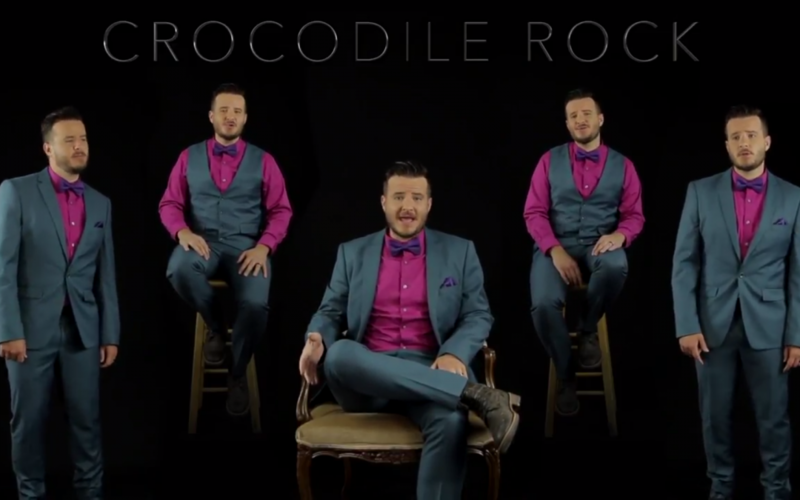 The fun video was released on June 13, 2017 and features Halley is a dapper suit and bow tie ensemble singing all five parts of the a capella medley. Elton John’s popular hits get a new take and perspective with the smooth and classy voice of Halley performing each part. Transitions between the songs are just about seamless and are accompanied by changing text along the top of the screen that indicates what song Halley is currently performing. The dapper and clean cut look of Halley doesn’t make one think he would be the type to sing Elton John, but his take is fun and maintains the fun, catchy atmosphere that made the songs so popular in the first place. Halley’s compilation features all the favorites: “Don’t Go Breaking My Heart,” “Bennie and the Jets,” “The Lion Sleeps Tonight,” “Circle of Life,” and many, many more. It will be fun to see what this young artist can do in the future and if he decides to take on the repertoire of any other notable artists.